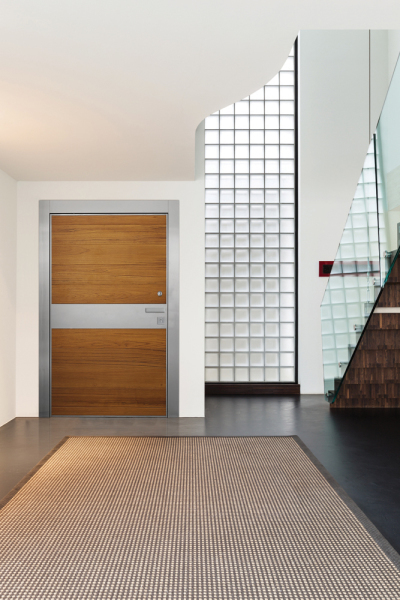 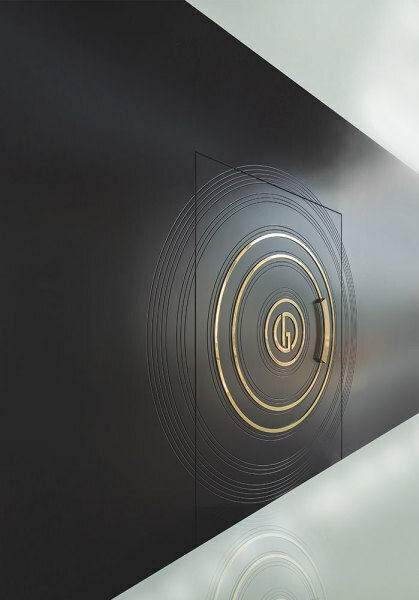 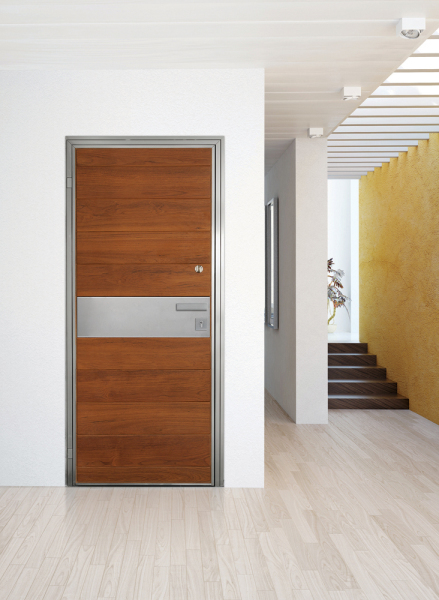 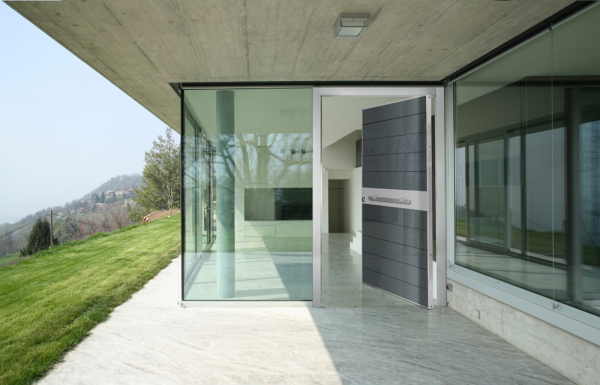 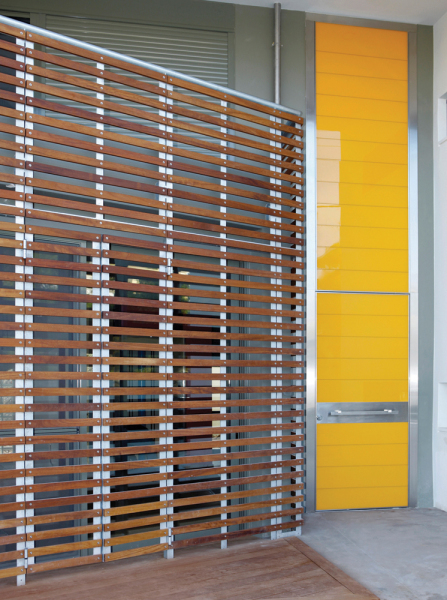 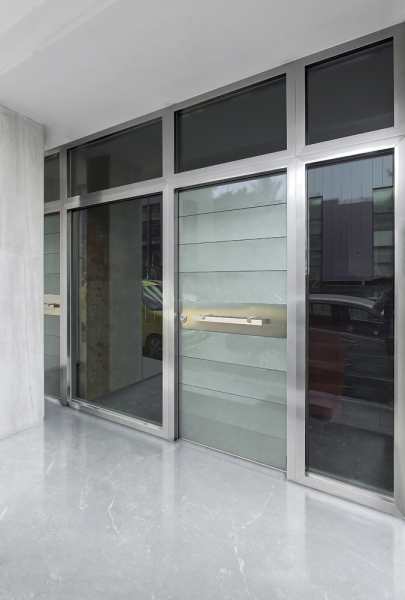 The pivot security door offers great application possibilities, covering wide openings and creating a very impressive result by means of pivoting around the axis. 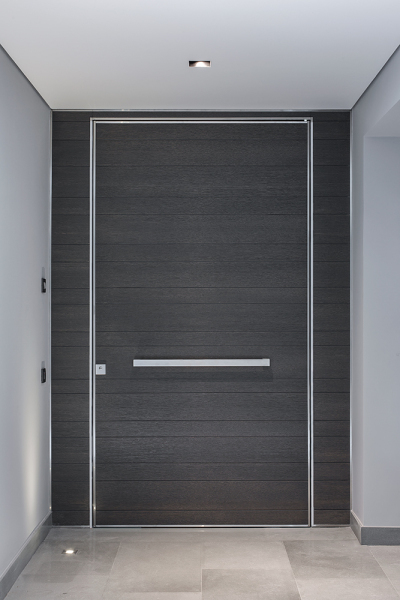 It provides freedom to architectural design, since the door is no longer seen in the sense of a typical aperture and acquires the power of an important architectural element in the room. 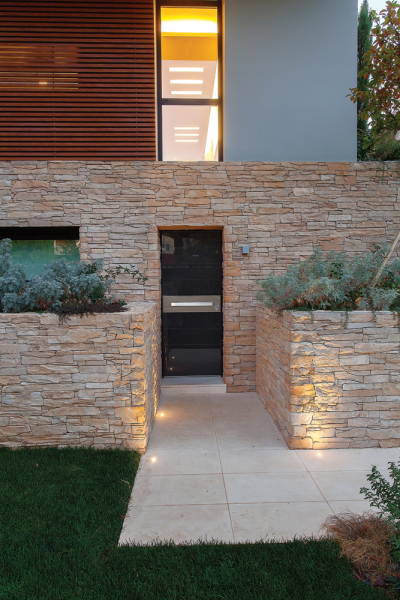 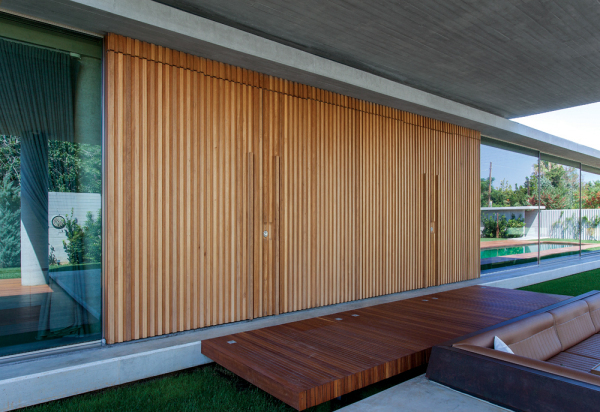 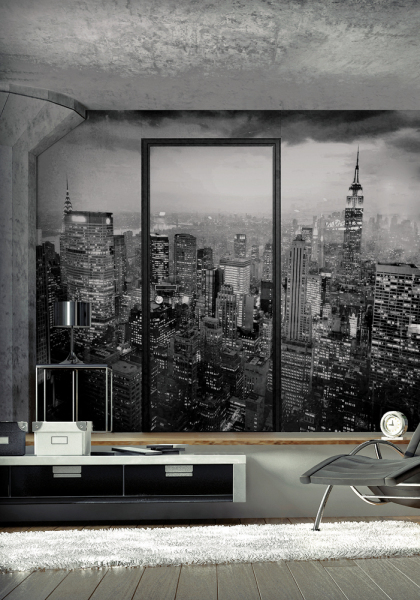 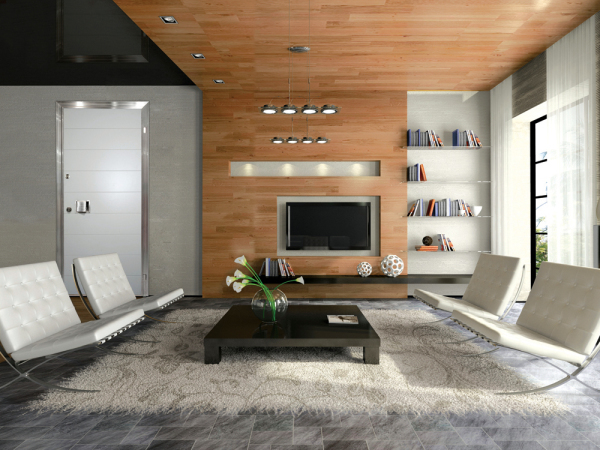 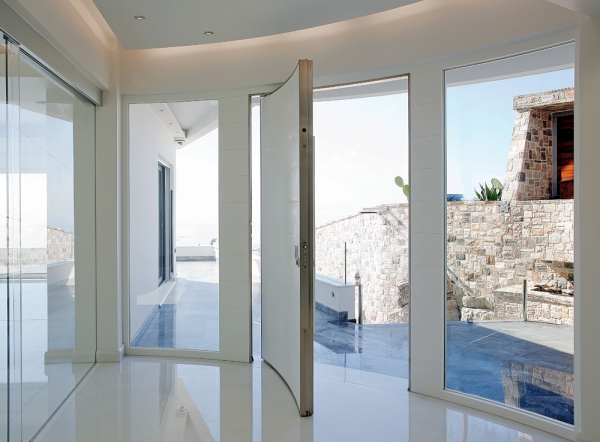 It is designed to follow the trends of modern design offering absolute alignment of the wall with the door. 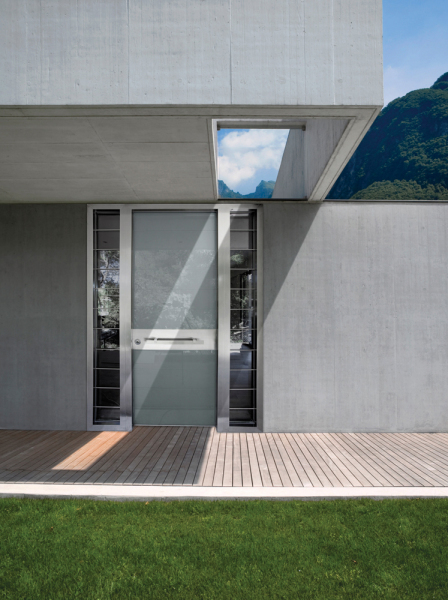 Its pivoting around the axis allows it to operate in wide openings that can reach up to 2 meters of width. 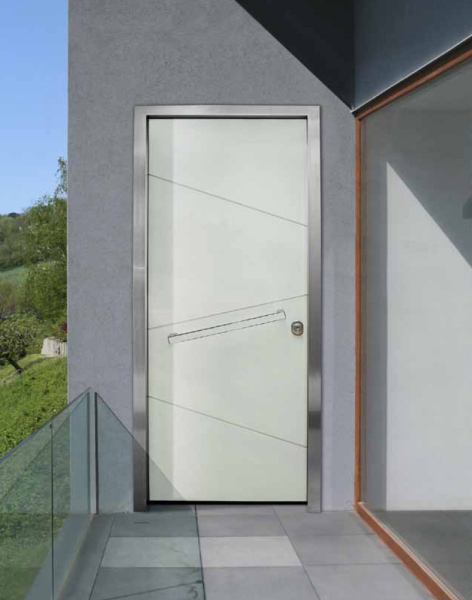 The mechanism, consisting of special bearings at the top and bottom of the axis, retains the axis stable and allows the door to pivot around it, thus ensuring a long lifetime without damage while at the same time allows adjustment of door height. 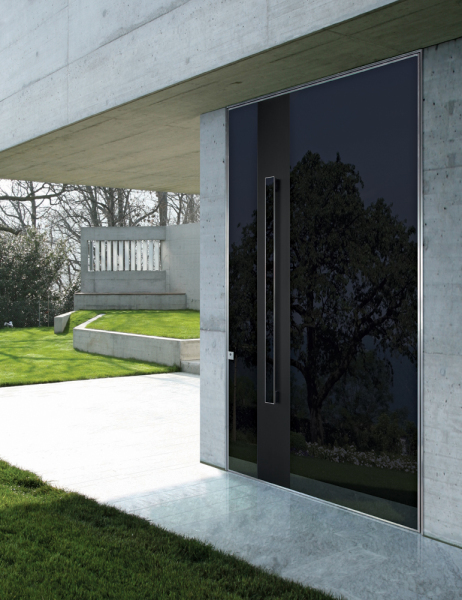 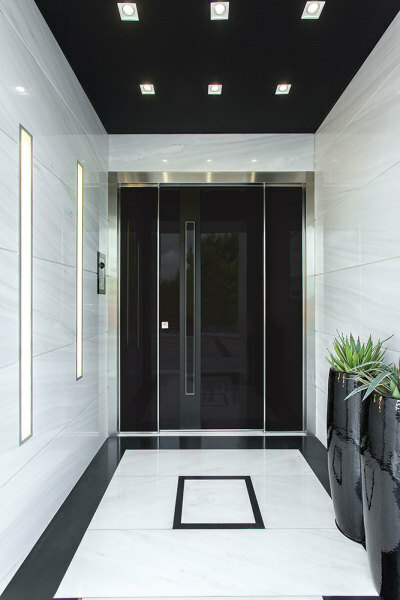 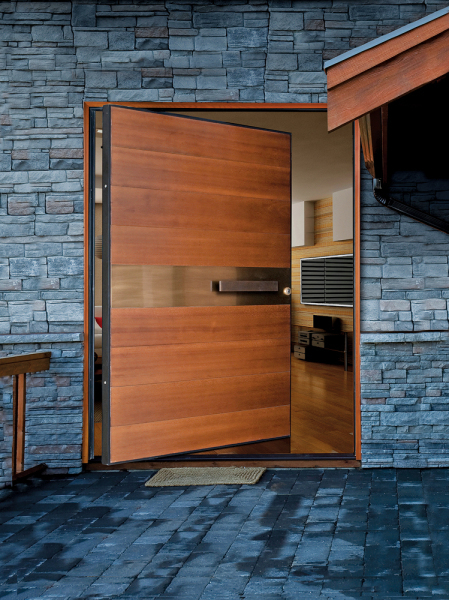 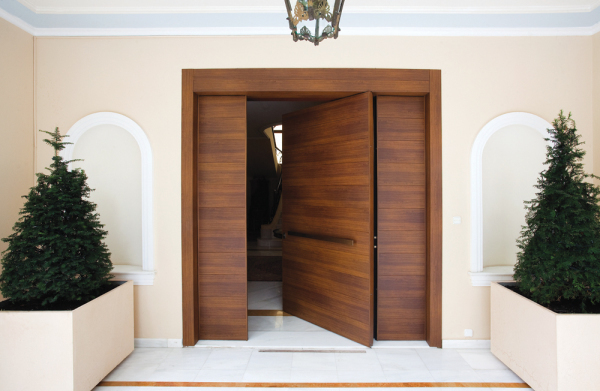 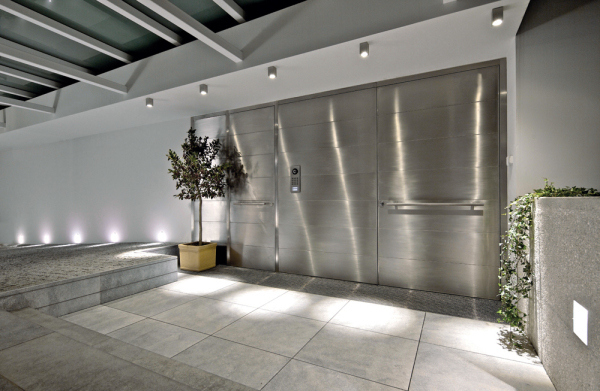 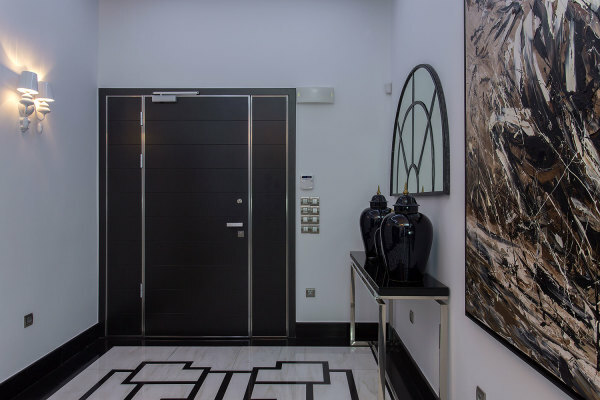 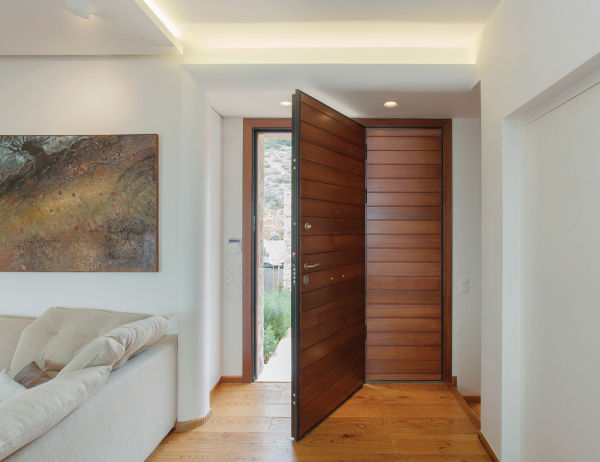 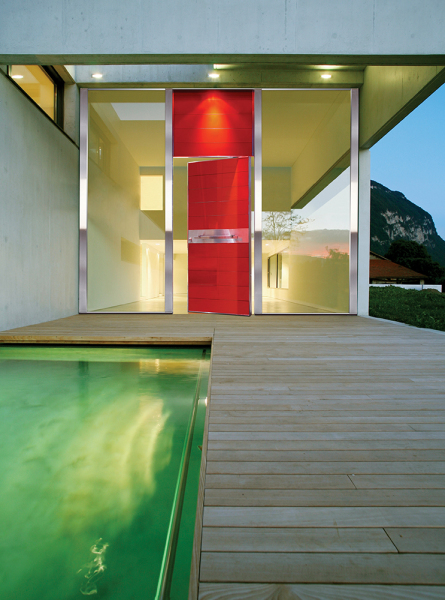 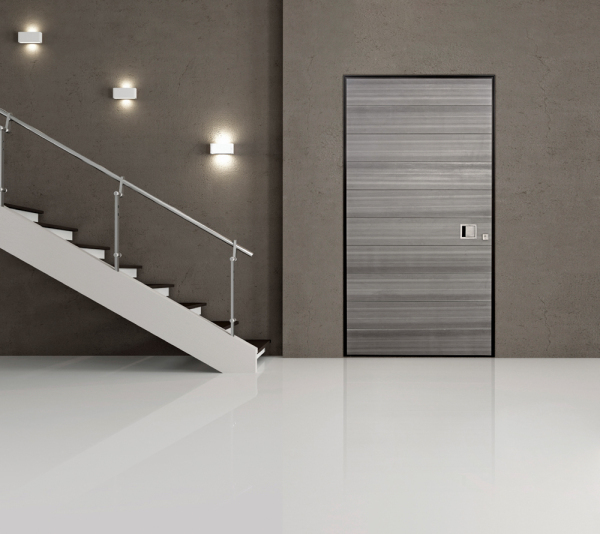 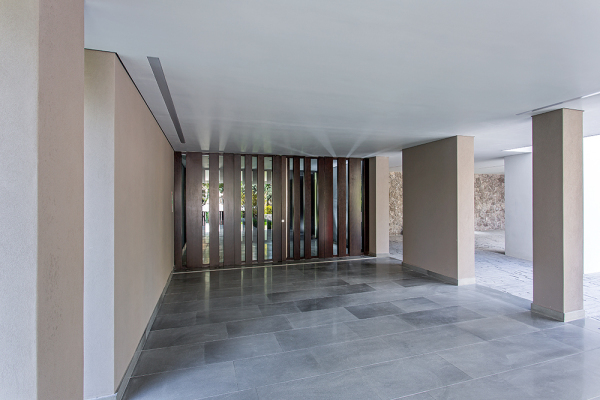 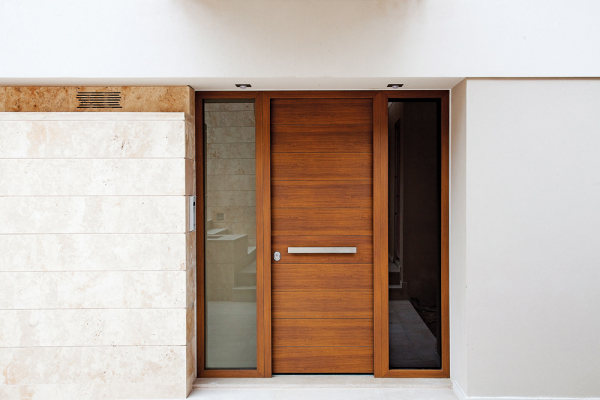 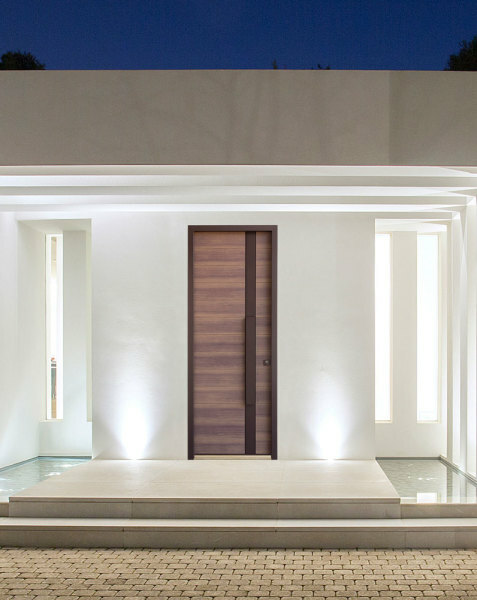 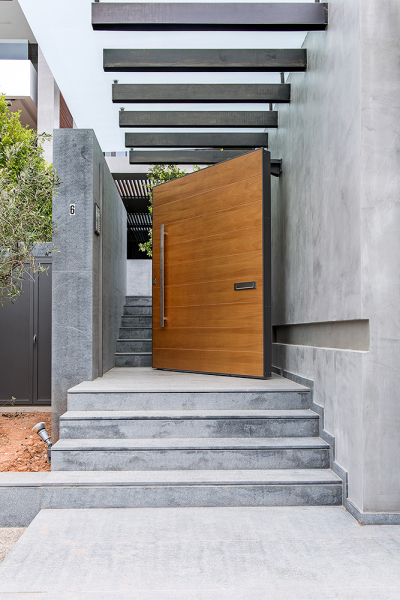 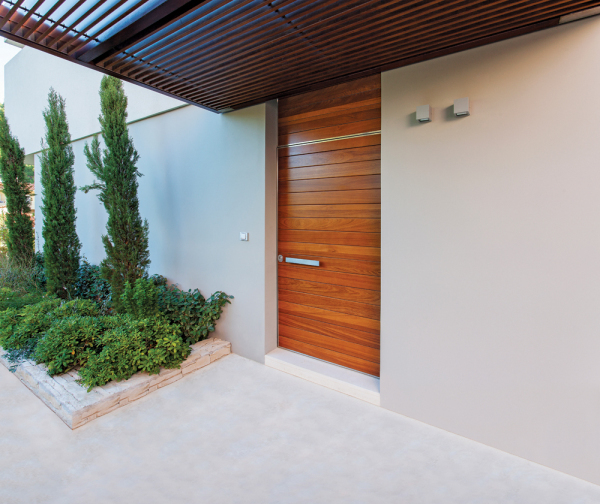 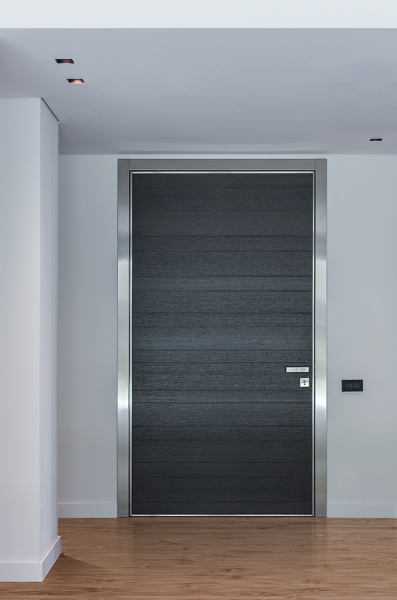 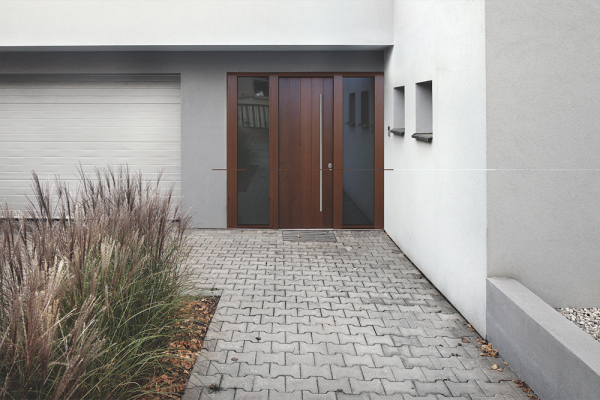 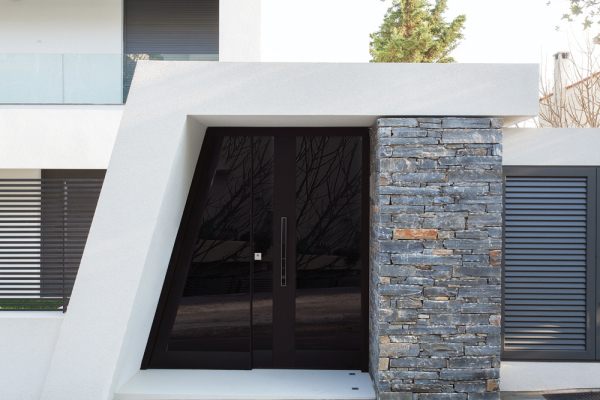 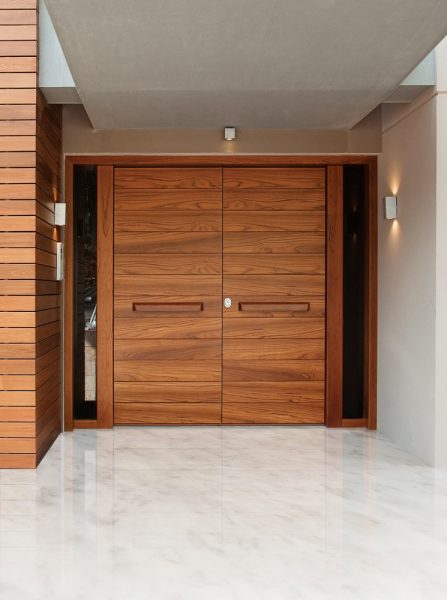 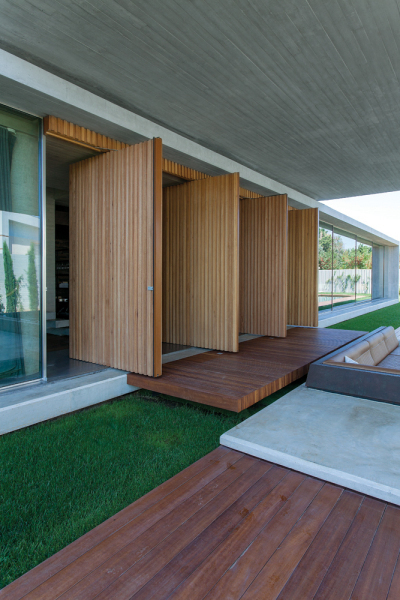 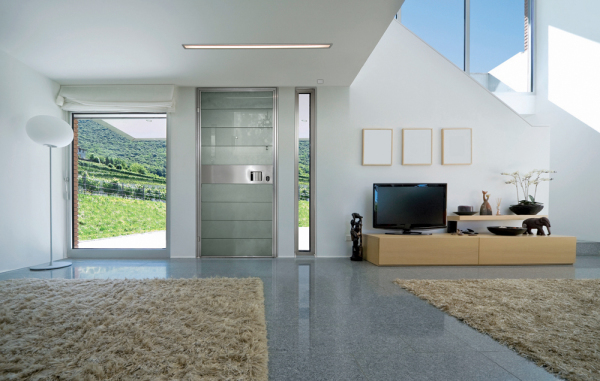 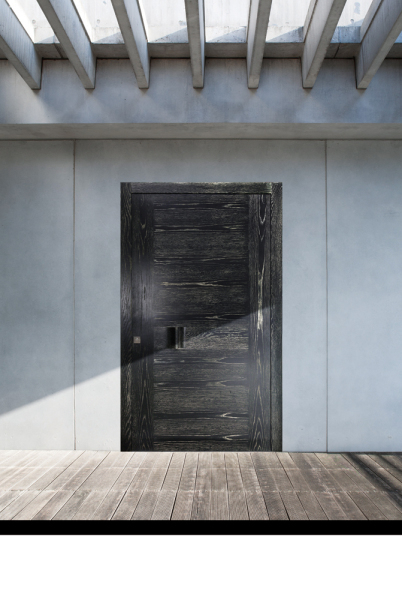 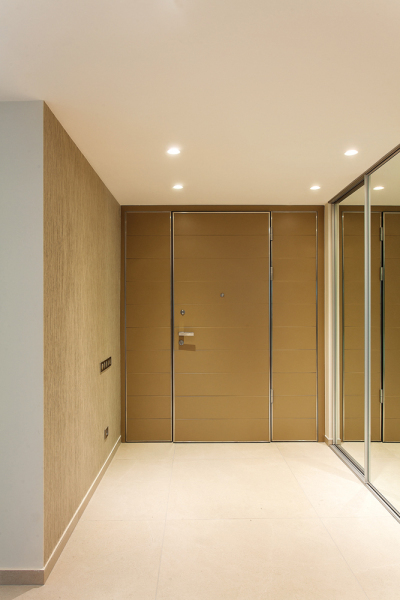 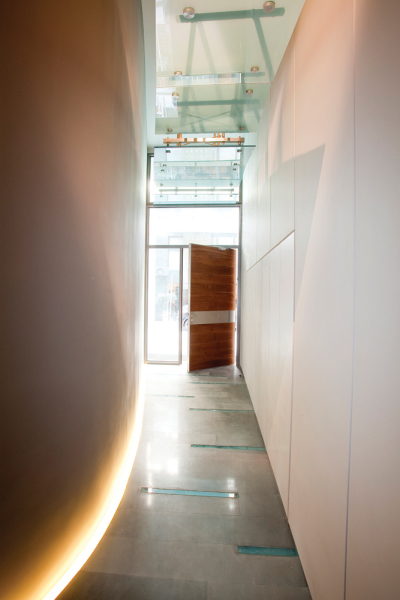 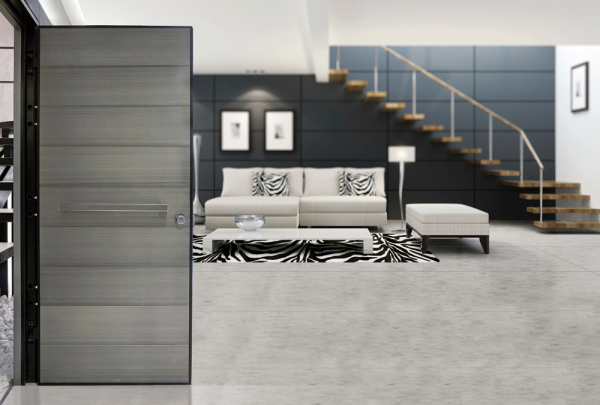 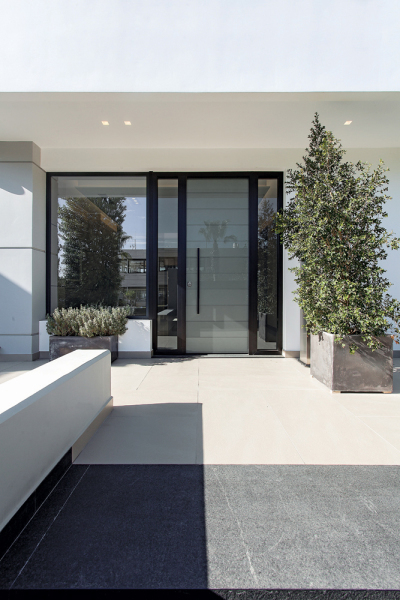 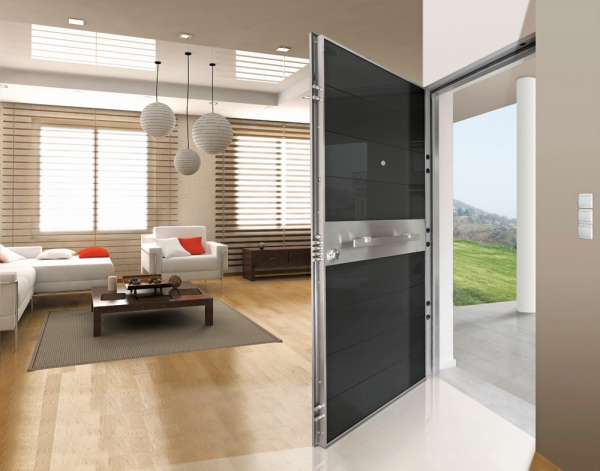 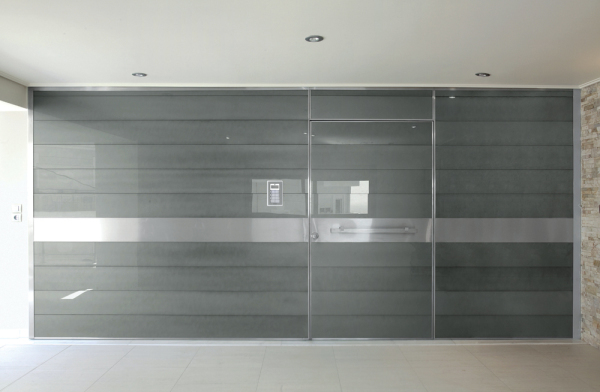 The modern design of a pivot door or a hidden hinge door can be applied to a security hinge door in an equally elegant and efficient way, without missing any of its aesthetics. 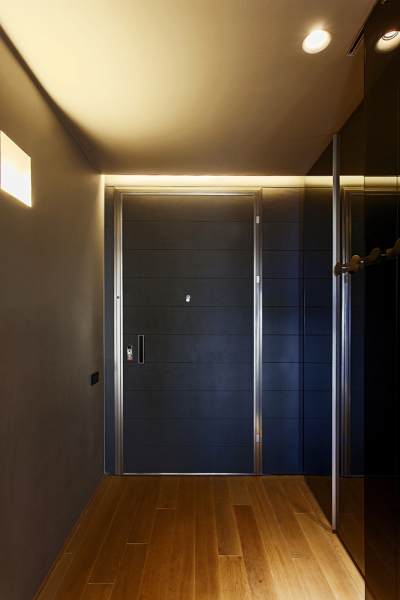 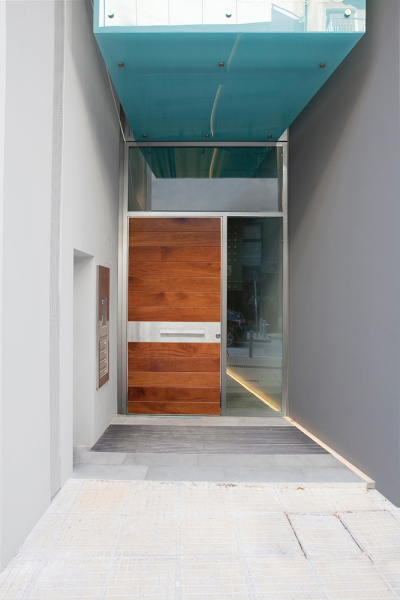 Combining different materials and colours one can design the door according to one's own functional and aesthetic needs. 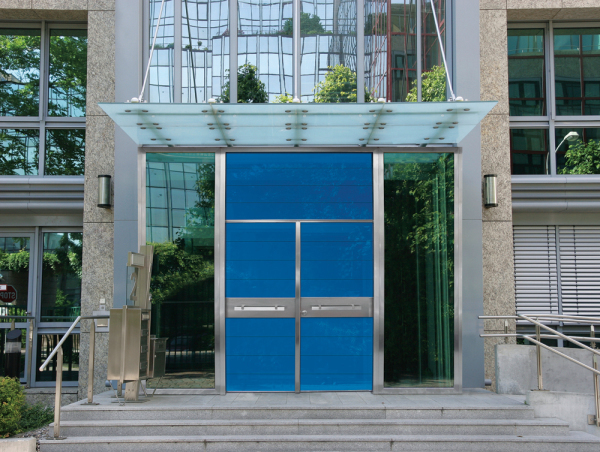 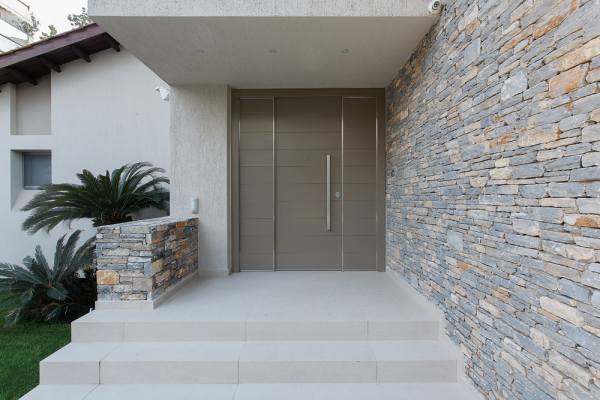 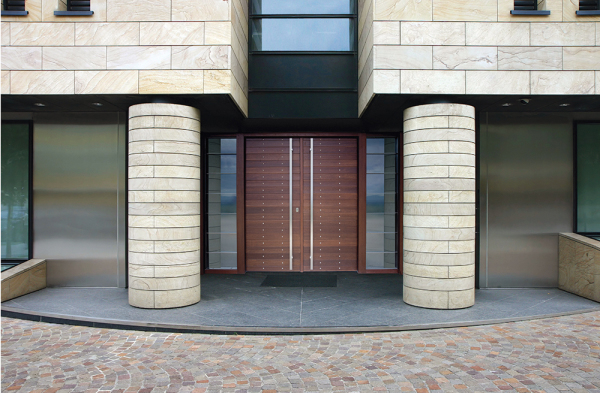 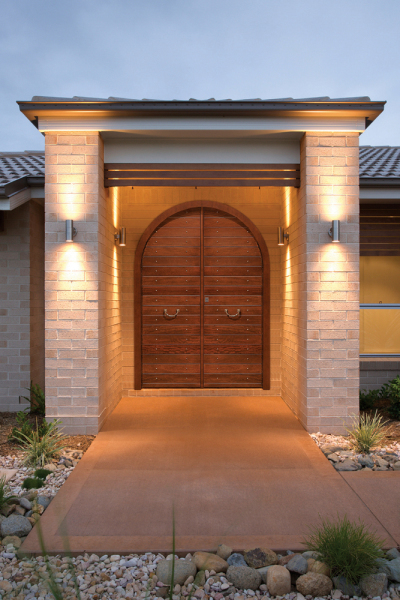 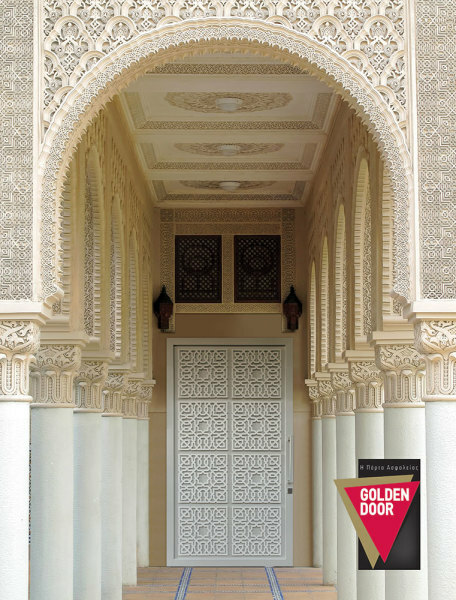 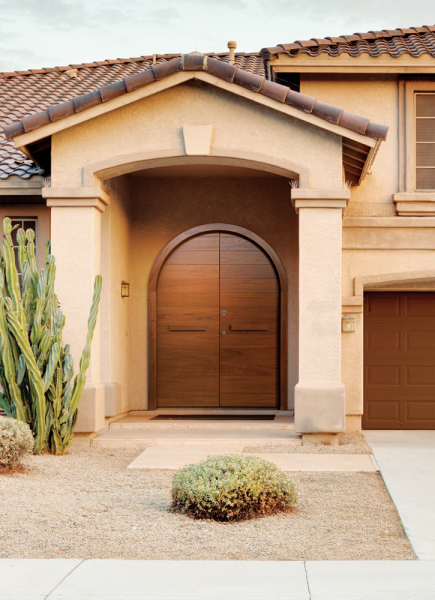 A double security door can be applied to wide openings, creating a very impressive entrance. 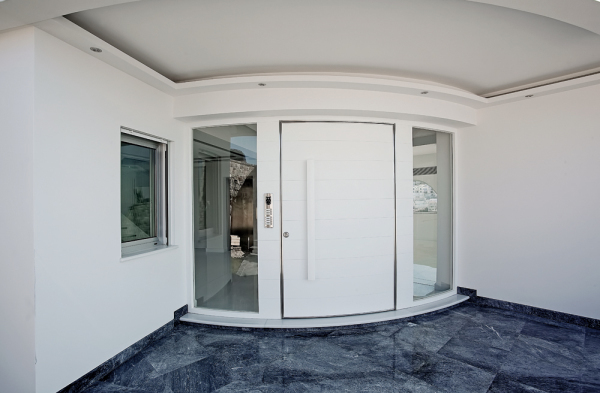 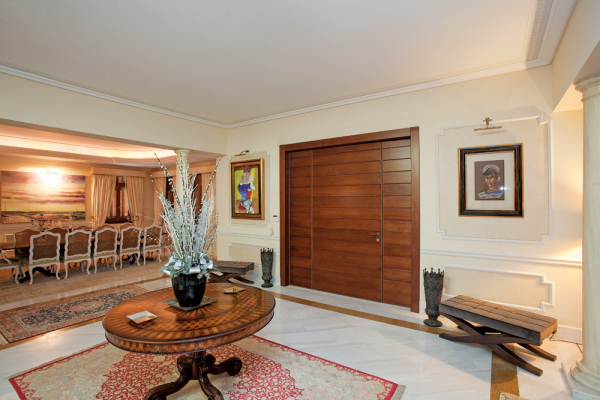 A structure with fixed sides or even oval double doors give solution to any architectural design.